Although mammals have successfully adapted themselves to a wide variety of habitats and life styles, their basic physiological design is very uniform. Also, their mode of reproduction does not vary significantly. After a given period of gestation, offspring feed from their mothers milk, the mammary glands being the primary taxonomic feature which provides the name for the whole group. The variable features of mammals are, most obviously, their size and external morphology. This is the result of successful adaptation to habitats as diverse as the sea (whales and dolphins), the air (bats), or underground (moles). Yet all these animals retain constant anatomical features, for example, a given vertebra of a whale, in spite of the huge difference in size, has a very similar shape to one in a mouse, or in a human. The internal organs, vascular system, muscles and nervous system all have common features. Striking variables often relate directly to time. For example, the gestation period for an elephant in 640 days, whereas for a mouse it is 20 days. Also, the time to reach reproductive maturity varies enormously, as does the rate and number of offspring produced in a beneficial environment. As we all know, temporal differences extend to maximum longevities. For a mouse, this is about 3 years; for man it is close to a century. It is often said that one year in a dog is life is roughly equivalent to seven in a man or woman's life, but that does not apply to development to the adult, which in relative terms, is far more rapid in the dog. Also, from the keeping of pets, it is well known that the signs of ageing in a dog or cat, are not obviously dissimilar to those in a human. Old animals move more slowly, lose muscular strength, skin changes may affect coat colour or density, cataracts can develop and hearing may diminish. The internal changes are comparable too, and a good example is the loss of elasticity of the protein collagen. This is the commonest protein in the body, and as animals age it becomes progressively cross-linked. The rate of cross-linking in a mouse or rat is enormously faster than it is in humans. The many changes in tissues and organs with age are also associated with the onset of various pathologies, at least in developed countries. For dogs and cats, this is demonstrated by the increasing veterinary expenses, and for man the sharply increasing costs of health care as we get older. 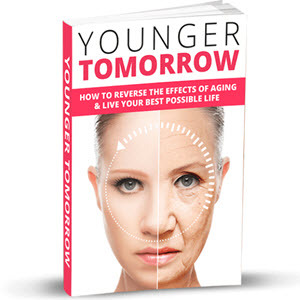 The important facts are, first, that the rate of ageing varies enormously amongst mammals, and second, that the major manifestations of ageing, at the anatomical and physiological level, are remarkably similar. How can this be explained? In the previous chapter, we saw that the energy resources available to an animal such as a mammal, are broadly partitioned into three areas. First, the general metabolism which is common to all mammalian species. Second, all functions associated with development to adulthood and reproduction, and third, efficient maintenance of the adult body for a considerable proportion of the total lifespan. We know that patterns of reproduction vary greatly amongst mammals, but more specifically than that, we can see that the rates of reproduction, and the potential number of offspring that can be produced also vary enormously. Before developing this theme further, it is very important to make the distinction between an animal's life in a natural environment, and a life in a protected environment, such as a zoo, or under domestication. As I have repeatedly stressed, animals live in hazardous natural environments. Some offspring do not survive long after birth; others never reach adulthood; some that do so may not breed, and those that do breed are unlikely to have nearly as many offspring as they are potentially capable of producing. In contrast, animals living in a protected environment, which provides food ad libitum and the absence of predators, have very different reproductive success, provided of course, that they have the freedom to breed. Infant mortality is usually quite low, most offspring develop to full adulthood and will continue to breed, unless human and other intervention prevents them from doing so. Under these conditions the important reproductive parameters are 1) the time it takes to reach reproductive age, 2) the length of gestation 3) the litter size and 4) the intervals between litters. To this must be added the period of fertility, which obviously relates to maximum lifespan. It is evident that mammals such as mice, rats and many other rodents, as well as some larger mammals such as rabbits, have a very high reproductive potential in the range 70150 offspring per lifetime. At the other end of the scale, mammals such as the elephant, rhinoceros, hippopotamus, whales, the great apes and women are capable of producing relatively few offspring per lifetime, roughly in the range 8-12. (This takes into account the common effect of lactation in reducing fertility). It becomes obvious that in an unprotected natural environment, slow breeding animals must survive longer than fast breeding ones, if the population is to stay approximately constant in size. For a female elephant to produce two offspring which reach adulthood, she will need to give birth to at least three (taking into account infant and child mortality), and have a lifespan of nearly 30 years, which is about 40% of the maximum lifespan. On the other hand, a mouse need survive only about 12 weeks (assuming that on average only one litter is produced), which is less than 10% of the maximum lifespan of 3 years. A survey of a wide range of mammalian species demonstrates beyond question that there is an inverse relationship between maximum reproductive potential and maximum lifespan. This is illustrated in Figure 5. Many studies have been published which attempt to relate maximum lifespan to the rate of metabolism of each mammalian species, or the size of the animal, or the size of its brain, or some combination of these values. (Others have calculated the total number of heartbeats in a maximum lifespan, and have even claimed this is broadly constant). Although some such relationships have been demonstrated, there are also some glaring exceptions. In particular, bats have evolved a unique lifestyle, in which they roost in inaccessible places during the day, and use their flying ability to forage widely for food at night. They can therefore evade predators and survive for longer in a natural environment than ground living mammals of comparable size. Yet bats have a metabolic rate comparable to other mammals of the same size. What is striking is their slow rate of reproduction and also their long lifespans. Many species produce only one offspring per year, and their maximum lifespan can be more than 20 years. Thus, bats are much more like larger mammals with regard to reproductive rate and longevity. Not surprisingly, in these respects they are comparable to many birds, which breed much more slowly than ground-living mammals of the same size, and have very significantly longer lifespans. What we see amongst mammals is an uneven allocation of resources to reproduction. Given a constant proportion devoted to normal metabolic activities, this means that some mammalian species devote more resources to maintaining the body during adulthood than do others. It follows that maintenance mechanisms should be more efficient in long-lived species than in short-lived ones. This has indeed been very clearly demonstrated by a variety of different means. Figure 5. This is Figure 7.5 of my book Understanding Ageing. 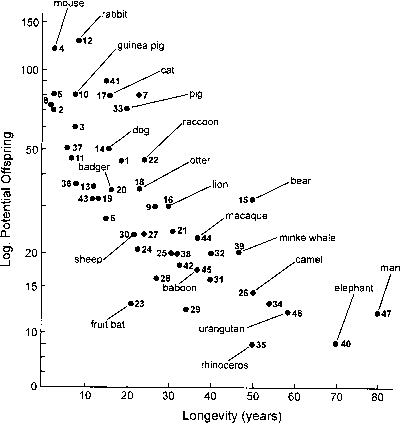 It shows the lifespanm of 47 mammalian species plotted against maximum reproductive potential under ideal conditions. Only 21 representative species are labelled. Note that the north American brown bear has a longer than expected longevity because in hibernates several months each year. The fruit bat has a lifestyle more like a bird than a ground-living mammal, and a lower than expected reproductive rate tissues. These cells divide about 60 times, before they become senescent and cease further growth. It turns out that this is the longest lifespan of fibroblasts of all mammalian species subsequently examined. In fact, there is a clear relationship between fibroblast lifespan, expressed in cell divisions, and the maximum lifespan of the species from which the same type of cell were obtained. Cell maintenance must relate to the ability of cells to grow in culture (often referred to as their growth potential), whatever the actual causes of senescence may be. There is another very important observation on cultured cells. Mouse or rat fibroblasts grow for about 10 cell divisions before being senescent. However, these cells commonly change into cancer cells which can grow indefinitely. From a laboratory population of senescent normal cells, individual colonies or clones of cells with altered morphology appear. These cells have a variable number of chromosomes, unlike the constant number in normal cells, and they have become immortal, just like the cancer cells that can be grown from tumours. The important point is that normal rodent cells are not well protected against their conversion to abnormal types of cell. In contrast, normal human cells when they become senescent in culture have never been known to produce immortal derivatives. They are completely stable, so are obviously endowed with one or more mechanisms to prevent this happening. This is indeed just what one might expect from the study of the whole animal. Three year old mice often develop tumours which may kill them, or, if they die from another cause at this age, may still have incipient malignant tumours in this or that tissue. The same is true of 70-80 year old people; they may die of cancer, or they may have incipient tumours. The probability of a normal human cell developing into a tumour is enormously lower than it is in a mouse. Or to put it another way, if human cells were like mouse cells, we would certainly all die of cancer in infancy or early during childhood. Clearly those mechanisms which maintain the normal properties of cells in the body, are far more effective in man than in the mouse. The incidence of carcinomas in the rat (with a lifespan of about three years) and humans is illustrated in Figure 6. The reasons why cancer cells become immortalised has been the subject of intense research for many years. One property they have acquired is the ability to maintain the normal ends of chromosomes, known as telomeres. Most normal body cells do not have this ability, so their chromosome become very slightly shorter everytime the cells divide. This is thought to be one cause of the senescence of dividing cells, but it is not necessarily the only one. Germ-line cells are potentially immortal, and it is known they maintain their telomeres. It is also likely that they have other important maintenance mechanisms, lacking in somatic cells. Figure 6. The age of onset of cancers (carcinomas) in the rat and in humans confirmed that normal cells from a range of species with different maximum longevities, have a range of repair efficiencies, that it, there is a direct correlation between repair capability and longevity. One study is of particular interest, because the cells were taken from the outer layer of cells of the lens of the eye. These cells are, of course, directly or indirectly exposed to sunlight, so they have a specific need for this repair mechanism. It turns out that the cells which have the longest exposure to sunlight ie. through the animals' lifespan, also have the most efficient repair. For six species, with maximum lifespans ranging from 3 to 40 years, the correlation was excellent. The levels of enzymes involved in other aspects of DNA metabolism, have also been shown to be correlated with maximum longevity. There is also evidence that damage to DNA from oxygen free radicals is greater in shorter lived species, which probably means that the defences against free radicals are more efficient in long lived ones. This is confirmed by a study of the amount of the carotenoid anti-oxidant in blood serum, which correlates with longevity, and also other aspects of free radical elimination. Another maintenance mechanism depends on the oxidation of toxic chemicals. Again, evidence has been obtained that longer lived species have more efficient detoxification mechanisms than shorter lived ones. An interesting study compared the long-lived pigeon and the short-lived rat, which have similar metabolic rates. The former was much more efficient in defending itself against free radical damage than the latter. Similarly the long lived paraqueet and canary suffer less damage than the mouse. The Australian scientist Alec Morley was the first to measure the increase in somatic mutations during human ageing. These mutations were detected in blood lymphocytes. When he did similar experiments in mice, he found approximately the same increase during their lifespan. However, mice live for only about 3 years and humans 30 time longer. 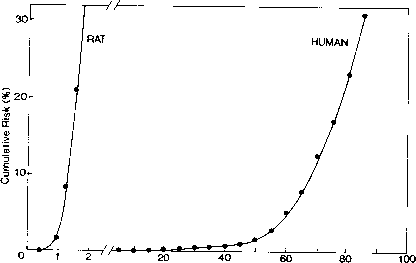 Therefore the mutation rate is about thirty fold higher in mouse than in man. This is complelety in line with other comparative studies. Many of the published studies I have just summarised, and several others I did not mention, depend on sophisticated techniques, which would be difficult to explain or outline here; nor would it be appropriate to list nearly 20 different investigations. The important conclusion is that in almost every case the expected relationship between efficiency of maintenance and longevity has been demonstrated. The techniques are now available to carry out even more investigations using animals with different lifespans. The strong prediction is that the correlation between the efficiency of cell or tissue maintenance and maximum longevity would receive even stronger confirmation. In some instances the origin of age-related changes in molecules such as proteins is not well understood. A good example is the progressive cross-linking of collagen which occurs during our lifespan. What is clear is that the cross-linking of tendon collagen in the rat over a three year period is far faster than it is in human collagen. At first sight this seems surprising, because rat and human collagen are chemically extremely similar, and have exactly the same functions in the body. What we must conclude is that the milieu in which these protein molecules exist is different. Proteins can be modified in many ways by particular chemical reactions, involving oxidation, addition of sugars, changes in particular amino acids, and so on. 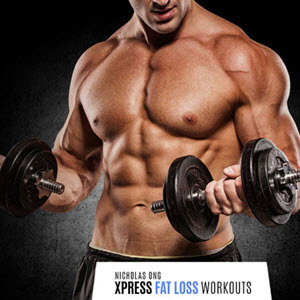 These reactions are subject to changes in rate, and it is not unreasonable to suppose that the evolution of greater longevity, depended on an improvement in the control of unwanted side-reactions which damage proteins. For this reason, proteins in many locations survive undamaged for much longer periods in long-lived animals than in short-lived ones, even though their intrinsic structure and properties are the same. The crystallins of the eye lens loses transparency through side reactions, which eventually cause cataracts to form. Most old animals are liable to develop cataracts, but the rate this happens is far slower in man than it is in dogs, and slower in dogs than it is in rats or mice. Similar conclusions can be drawn about the progressive damaging changes in the vascular systems of mammals with very different longevities. All the evidence is compatible with the general view that cell and tissue maintenance is essential for the normal survival of the adult organism, and that ageing is associated with the eventual failure of such maintenance. Moreover, the resources invested in maintenance are inversely related to those invested in reproduction. There is a tradeoff between the two: as one increases, the other decreases, and vice versa. The balance is set by the particular adaptation and life style of the species in question. Those animals which live in hostile dangerous environments must breed fast to maintain their numbers. In consequence they invest less in maintenance and have short lifespans. Those animals which are successful at evading predators and finding adequate supplies of food, have a much lower annual mortality, can afford to reduce fecundity and still maintain the population size. However, to achieve this end, they also have to stretch out their lifespans and this depends on the evolution of better maintenance mechanisms. All these changes occur very slowly under the influence of natural selection, and I will explore this issue further later on. There is an established fact about the ageing of mice and rats, which is very pertinent to the general theme I have developed. When such animals are given a restricted diet, normally about 60% of what they would eat if fed ad libitum (that is, being free to eat as much as they want), their lifespan is increased very significantly. 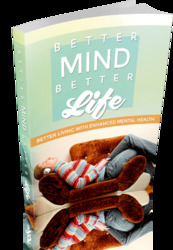 In many different studies, a life-extension of about 50% is consistently observed. Moreover, these animals have significantly fewer age-associated pathologies than animals given a full diet. What is not always realised is that these calorie-deprived animals also become infertile, or have very low fertility. This makes biological sense, because small ground living rodents do not have a constant supply of food in their natural environment. Sometimes there is a glut, and at other times the animals are liable to become semi-starved. In the absence of nutritional resources, it would be pointless to attempt to breed, since this would endanger both the mothers and her offsprings' chances of survival. So the first thing that happens when food supply runs out, is the shutting down of reproduction. Clearly this is an adaptive mechanism. When the food supply is restored, breeding begins again. In fact, it has been established experimentally that when calorie-deprived animals are subsequently allowed to have a full diet they can breed at very significantly greater ages than animals which are continuously fed ad libitum. It also makes biological sense that the semi-starved animals invest what resources they have (namely, about 60% of the normal calorie intake) in maintaining their bodies, until such time as more food becomes available and breeding can begin again. The diversion of resources from breeding to maintenance, has the effect stretching out survival, that is, increasing the lifespan. Seen in this light, the extension of lifespan is an evolutionary adaptation, which maximises the fitness of the animal (i.e. the total number of offspring produced) in environments with fluctuating food supplies. One can look at the situation in another way. One might guess that a rat or mouse given 60% of a normal diet, would simply keep breeding but produce fewer offspring. But this does not happen; instead, the animal has the positive response to reduced diet of not breeding at all. It has often been asked whether calorie deprivation would also increase the longevity of people. The short answer is that we do not know. We do know that excessive use of available energy, for example by ballet dancers, gymnasts, and athletes, can result in a cessation of menstruation in women. But we do not know whether a lifetime, or part of a lifetime, with a significantly low intake of calories increases longevity. One might think this information would emerge from the examination of populations of people with different nutritional lifestyles. The problem is that the many human populations with inadequate food in third world countries also have inadequate health care, and therefore a lower expectation of life. Similarly good health care is almost always associated with full availability of food. Nevertheless, I think it quite possible that a long-term study of individuals with low and high calorie diets within one such community would indicate whether man responds in the same way as mice and rats. What is already clear is that a sustained low-calorie diet is likely to have detrimental side effects, and those who have referred to the possible "beneficial" effects of calorie-restriction seem to have forgotten that it may well reduce fertility, and probably libido as well.